Sixty to eighty percent of patients with newly diagnosed acute myeloid leukemia (AML) can achieve complete remission (CR) after intensive chemotherapy. However, current therapy remains unsatisfactory for high-risk AML patients, including the elderly, relapsed, refractory, and secondary AML . 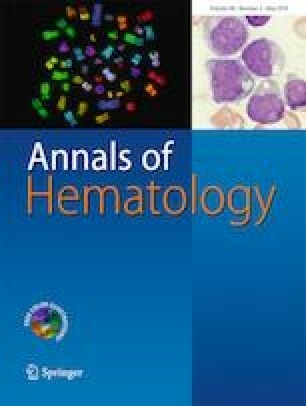 Myelodysplastic syndrome (MDS) comprises a very different group of myeloid malignancies with very distinct natural histories. Interventions have been evolved significantly over the last decade in high-risk disease. However, the median survival of these patients was only 0.5 years . Generally, the effect of intensive chemotherapy on these patients is insufficient because of drug resistance, poor performance status (PS), dysfunction of multiple organs, and high treatment-related toxicities, leading to high early death (ED) rate. Novel agents and regimens have been developing for this group of patients with AML and high-risk MDS [3, 4, 5, 6].